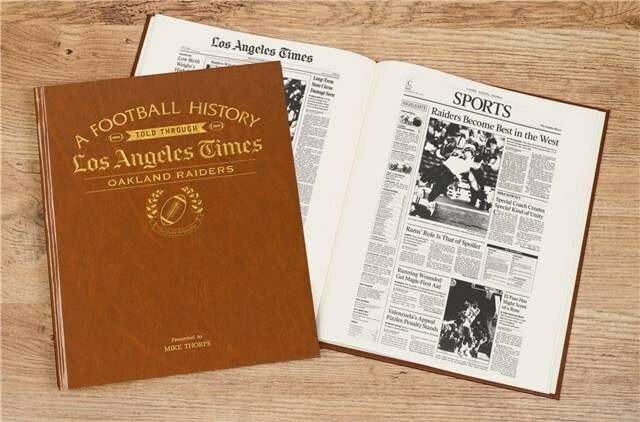 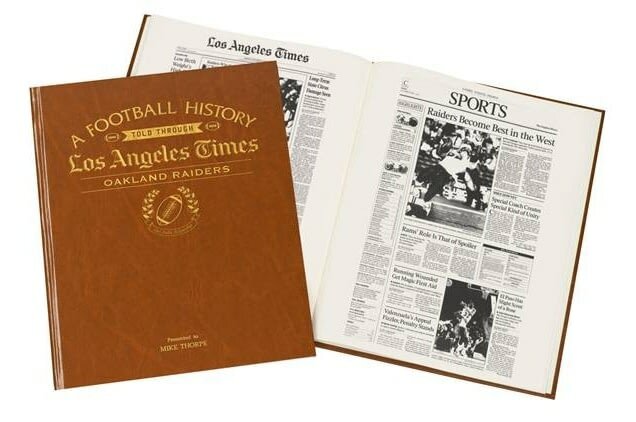 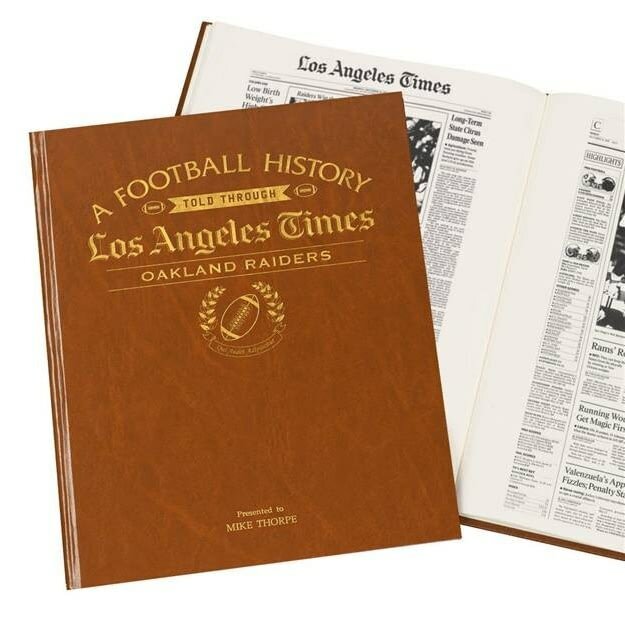 Coverage begins in 1960 when Oakland was awarded an NFL franchise; with the book going on to also include reports on their AFL West Division titles and Super Bowl Victories. 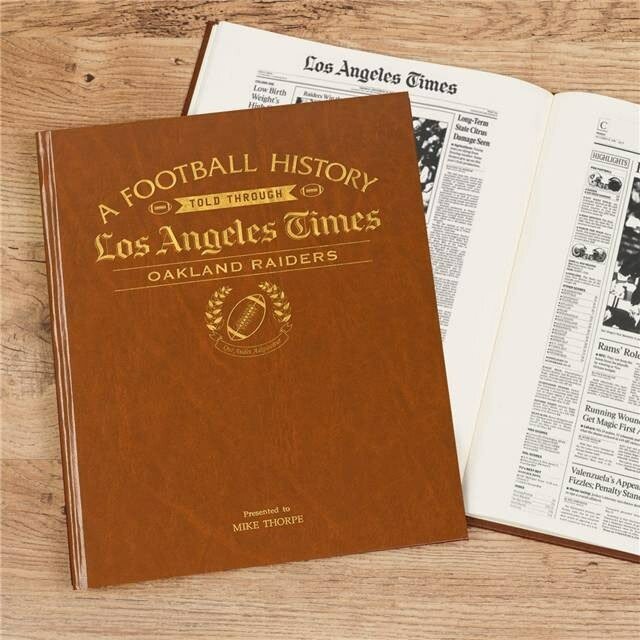 At Super Bowl XV, the Raiders dispatched of the Philadelphia Eagles 27-10, a game every die-hard Raiders fan will be proud to read. 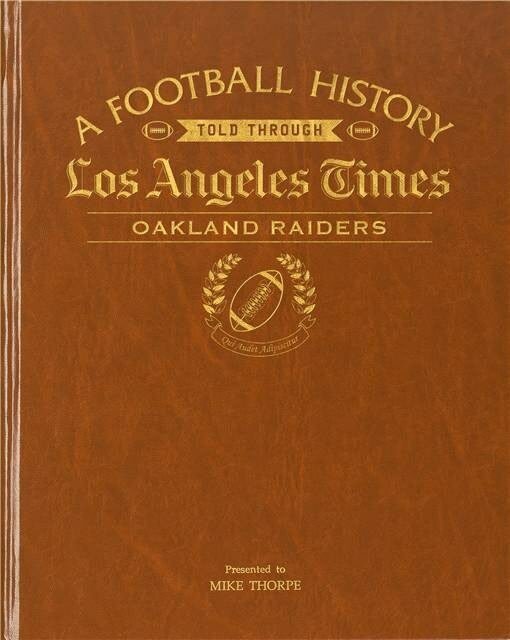 This is a unique and wonderful gift and a must have for every Raiders fan. 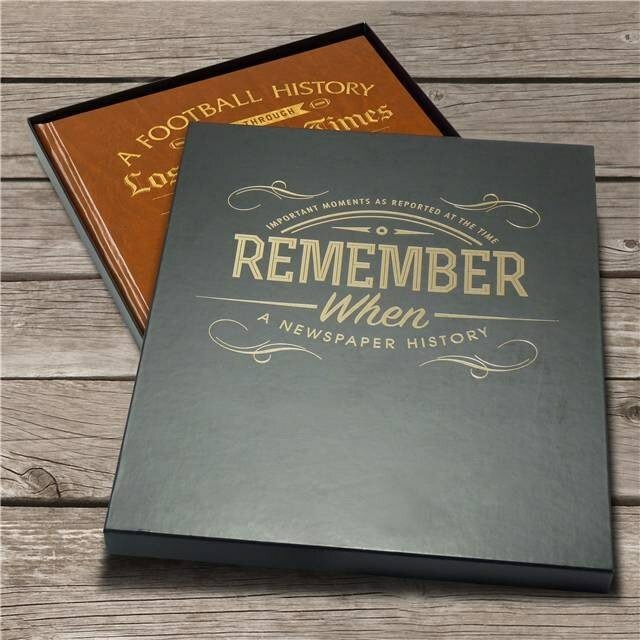 Reproduced to near full tabloid newspaper size it is bound in luxury tan leatherette, gold embossed, hardback cover.